Maybe you've considered pulling the metal shoes off your horse for the winter. Perhaps you've heard about the benefits of re-establishing proper hoof mechanism. You like the idea of allowing blood to flow freely into the live tissue of the structures that support your horse. You want fresh blood circulating to provide nourishment and oxygen to your horse's feet. You want their weight and the shock of impact to be properly absorbed. And you know all about those debilitating conditions that so many horses are plagued with; navicular disease, laminitis, ring bone, side bone, splints, arthritis and chronic thrush can all be deterred by a practice that is simple, beneficial and cost effective. Some farriers advise that now is the time to pull off those metal shoes. This allows the frog to make contact with the ground and pump fresh blood through all the coriums of the hoof - allowing the shock of the contact to be properly absorbed by the hoof, rather than referred back up the structure by the impact of metal. According to the manufacturer of Cavallo hoof boots, various studies show that horses receive an 800 Hz vibration when metal horse shoes impact a hard surface at a trot, so now may be a good time to relieve those debilitating effects and encourage the hoof to expand and contract as it should. Colder months bring muddy hoof problems in certain regions. Mud can loosen horseshoes and also trap moisture in horse hoofs, leading to deterioration or infections like thrush. If hoofs are not examined and picked regularly serious problems can develop. Stalls should be mucked on a regular basis and clean dry areas should be provided to all horses to save their hoofs from the effects of too much moisture. In many cases, your horse's overall strength, respiratory, circulatory and immune system will benefit. A poorly functioning hoof can bring down the entire system, while alternatively, a properly functioning hoof has the effect of nourishing and revitalizing the whole horse. 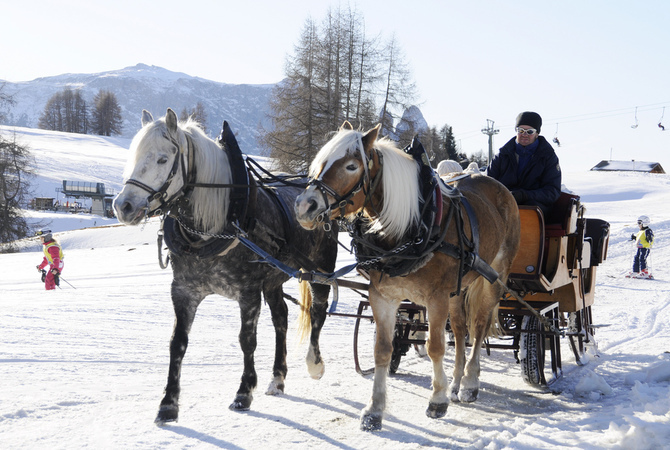 Winter time can be used to rehabilitate horse's hoofs from the effects of nailing metal shoes into horse's feet. Hoof boots can be the most useful, practical and no-nonsense tool to assist in returning those feet to a healthy state. No hoof, no horse. When you want to do the best you can for your horse's health and well-being, be sure winter hoof care is a priority and consider alternatives to metal horse shoes such as hoof boots or letting your horse go barefoot. For horses dealing with bacterial infections or injuries, hoof boots can be used to aid in protection and speed up healing times. If you need to apply a poultice, secure a bandage, or remove thrush bacterial infections, you can leave hoof boots on even for turnout - just tape up the aeration slots to keep the hoof dry in wet weather. This will also help to combat the effects of ice shards or any other aggressive terrain. 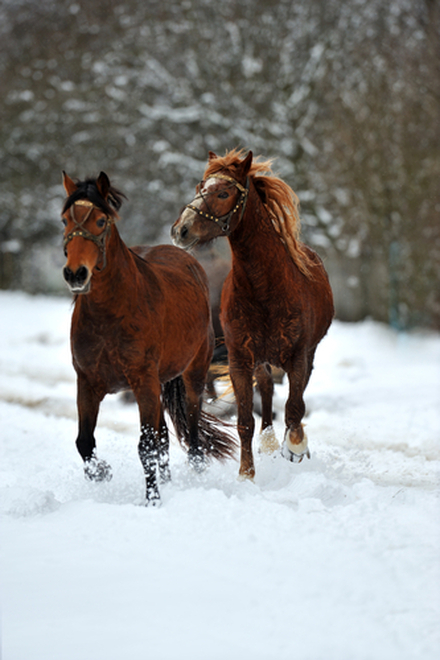 Although some farriers may debate this point, many hoof care experts advise owners to let their horses go barefoot in winter, particularly if the equines are retired, pastured or given the winter months off. Horse owners and stable staffers may be reluctant to schedule farrier appointments in inclement weather, but equine hoof health depends upon regular farrier examinations. Although horse hooves may grow somewhat slower in colder temperatures, they may chip and crack under such conditions leading to the chance of infection or serious hoof problems. In all cases, consider the health of your horse and if you have any question about what is best for your horse, seek the advice of your farrier or veterinarian. Doing something simply because it is less expensive or sounds good, may be very costly in the long run.